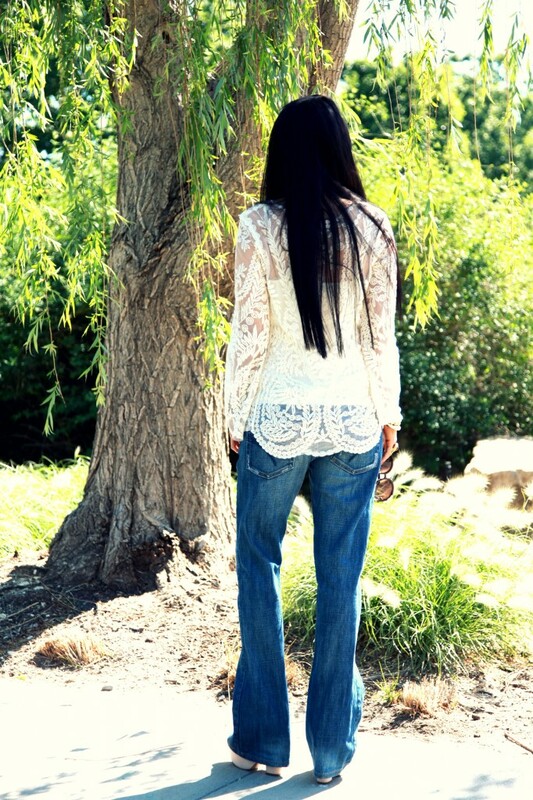 sheer crochet and wide leg jeans- a little boho chic. Wow you look absolutely perfect s! I love this outfit! Great summer look with a boho touch, which I love as well. You always have the most gorgeous, unique pieces! This looks so lux!! OMG that’s a very lovely caftan Sooae…..& love the boho mix with that flared pants! Pretty! Love those sunglasses, and what a gorgeous day! Wow, such a fab summer look! I want a kaftan now ;],work it! Wow the crochet top looks stunning and I love the way you paired it with the flared jeans. Just beautiful. 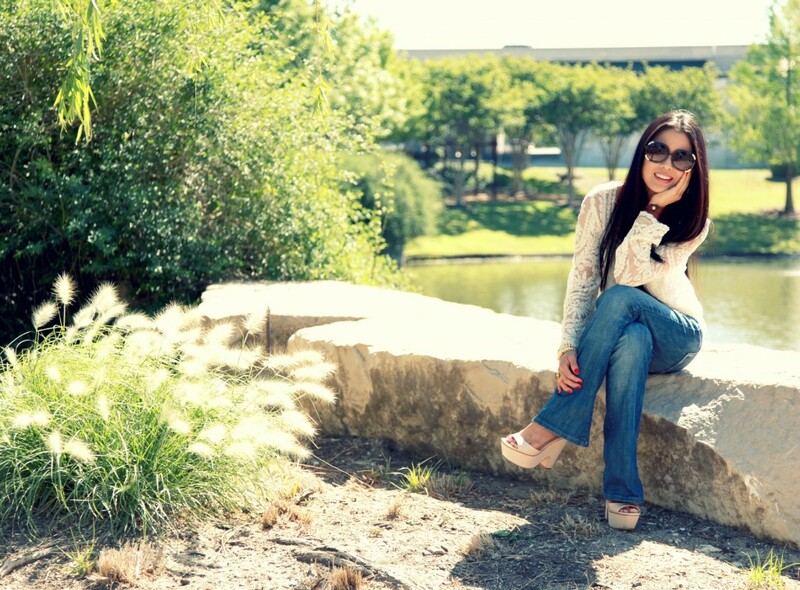 Great post,love!The blouse is stunning! I’m such a fan of crochet and your blouse is soo cute! I am in love with your crochet blouse!!! This top is to-die-for! I love how delicate and intricate it is! 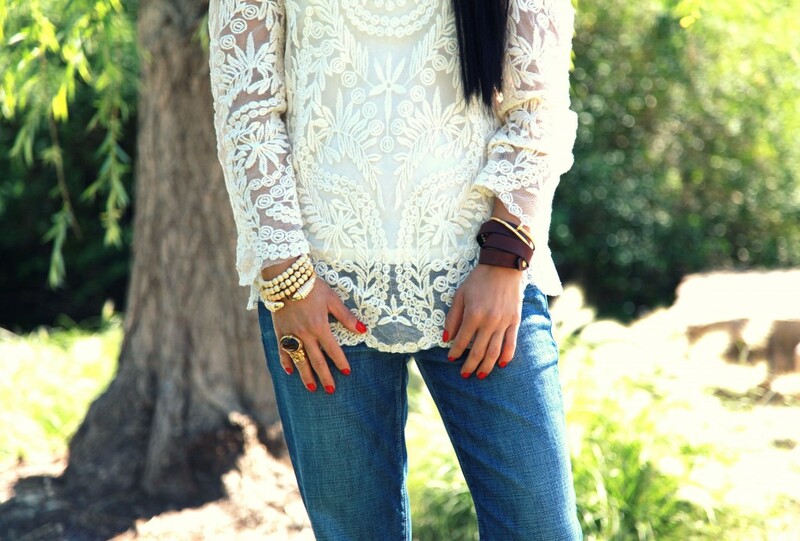 Love the crochet top with those jeans. You look so beautiful my friend! Super pretty top, love it ! so so so pretty, i’m in love with that top! 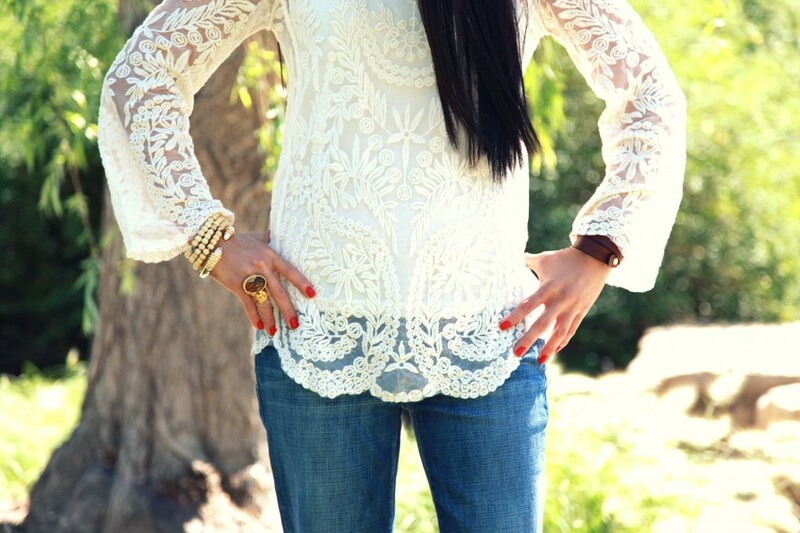 What a gorgeous top–I love the 70’s vibe the whole outfit has! What a gorgeous crochet top. I am all over crochet at the moment! It’s my number festival purchase this summer – I need crochet everything! Great pics and so glad I stumbled across your blog. I love that top! Such a nice boho casual look paired with those jeans. A caftan is actually a long robe/overcoat that is typically open in the front and reaches down to the floor. awe thanks nicole! this is the manufacturer’s label but learn somethin’ new every day 😉 xO! boho chic done right 😀 love it! I absolutely love the intricate crochet design!! So pretty and vintage and chic at the same time! Loveee the boho look- you pull it off so well! I love your crochet top, Sooae. I’ve been looking for something similar. I love the details but it’s still pretty understated. I still can’t do prints very well so this is a good substitute for just a plain t-shirt. Normally the words “crochet” and “caftan” would strike fear into my heart, but this is gorgeous! Super cute top. Went to the website and saw a short sleeve version that I like. Does the one size fit ok? 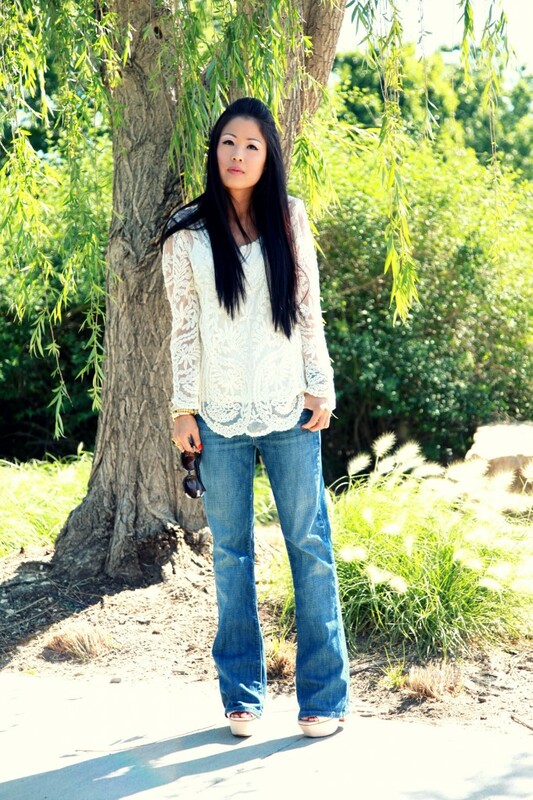 Gorgeous top, and I;m always a fan of flares! this is such a gorgeous top! your pictures are all so so pretty! Absolutely love the crochet caftan!! xo C.
Omg! I want this top! Where can I find it? thanks. can’t wait to take a peek! xO! I love your top. It is so feminine and delicate. Your jeans look amazing on you. love the top, so perfect! this is a great top, i love it!! I love love the crochet top! You styled it perfectly as well. I love this! That top is so pretty and perfect with the flared jeans.